We don’t just hire and sell portable offices, we deliver and install them too, and we can work to any specification you require and we can deliver anywhere. So, If you need a large number of portable offices but have limited space we can deliver them and stack them. The image shows a large installation of 6 x 40ft x 12ft offices (12.2m x 3.6m) that we triple stacked for our client. Six cabins became two stacks of three and were installed and then linked end to end. 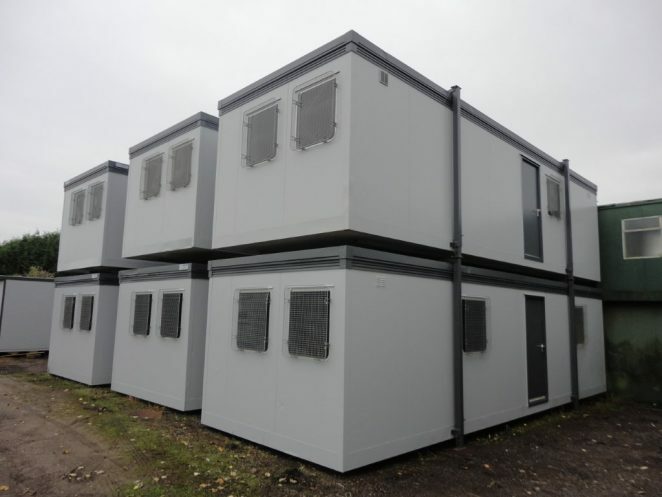 This was an installation we undertook for a customer in Croydon who we’ve been supplying portable offices and cabins to for 20 years. For further information on our portable offices, delivery, installation or stacking, give us a call on 01206 212505.